Referred to as the “intellectual center of the army,” the U.S. Army Combined Arms Center (USACAC) oversees the operation of 33 schools and training centers, each of which is responsible for teaching specific skills to Army personnel and members of other armed services. The U.S. Army has a long history of providing specialized training to its soldiers, going all the way back to the Revolutionary War. In recent times some elements of the USACAC drew public attention for reports and internal debates over the Bush administration’s handling of the Iraq war. Providing soldiers and officers with specified training has been a mission of the U.S. Army since the founding of the nation. The Army’s earliest training center was the Engineer School, founded in 1778 to help support the Revolutionary War. Located at West Point, the Engineer School began with three captains and nine lieutenants serving as staff. In its early years the school struggled to remain open. With the end of the Revolutionary War and downsizing of the Continental Army, demand for the school’s specialized training diminished, causing it to close. It reopened as the Regiment of Artillerists and Engineers in 1794. But a fire in 1798 destroyed many of the school’s facilities, forcing another closure. Army engineers were without a school for three years until the War Department revived it in 1801, from which time it has remained open. In 1881 the Army opened the Command and General Staff College (CGSC) at Fort Leavenworth, Kansas, under the leadership of Civil War General William T. Sherman. The CGSC was the army's first postgraduate school, training selected officers in both infantry and cavalry tactics and strategy. The college was the only higher level military school not suspended during World War II. In the early 20th century, the Army opened its first artillery school, known then as the U.S. Army School of Fire, in 1911 at Fort Sill, Oklahoma. With the exception of a brief period in 1916 when school troops were used as frontier security guards during the Mexican Revolution, the school has remained open ever since. During the World War II era, the Army opened several new schools to expand its specialized training of enlisted men and officers. In 1940 the Armored Force School and the Armored Force Replacement Center were established at Fort Knox, Kentucky. The school trained soldiers in military fundamentals and in specific areas such as tank gunnery, armor tactics, communications, and maintenance. As the armored force grew and the U.S. entered WWII, the school expanded proportionately. From an initial cadre of 155 officers and 1,458 enlisted men in October 1940, the school grew to more than 700 officers and 3,500 enlisted men by May 1943. The school alone used more than 500 buildings, many of them temporary wooden structures built to meet the expansion of the post. Many of those temporary buildings are still in use today. On November 1, 1941, the Army established an intelligence school at the Presidio of San Francisco to teach Japanese to Japanese-American (Nisei) soldiers to use in the war against Japan. Following the attack on Pearl Harbor in December, the school was relocated to Minnesota and renamed the Military Intelligence Service Language School (MISLS). Almost all of the 6,000 wartime graduates of the MISLS were trained in Japanese. After World War II, the MISLS was moved to the Presidio of Monterey. It added Russian, Chinese, Korean, Arabic, and six other languages to its curriculum and was renamed the Army Language School (ALS) in 1947. The size of the faculty and student classes, and number of languages taught, increased throughout the Cold War years of the 1950s and later. In 1974 the Presidio at Monterey also became home to the Defense Language Institute which was later renamed the Defense Language Institute Foreign Language Center (DLIFLC) in 1976. DLIFLC was granted academic accreditation in 1978 and expanded in the 1980s. Instructor-to-student ratios increased, and with the introduction of advanced teaching techniques and information-age technology, average student language proficiency steadily increased. The DLIFLC remained in Monterey even after nearby Fort Ord closed in 1994. The DLIFLC continues to evolve and expand its language course offerings in the wake of the end of the Cold War and to support the Global War on Terrorism. Currently training about 3,500 resident students in at least 84 languages and dialects yearly, the DLIFLC is considered the premier foreign language training institution in the world. 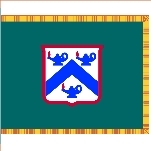 Referred to as the “intellectual center of the army,” the U.S. Army Combined Arms Center (USACAC) oversees the operation of 30 subordinate organizations across 13 installations, and coordinates with 19 other organizations (Centers of Excellence, schools, and combat training centers) across eight installations both inside and outside the U.S. Each organization is responsible for teaching specific skills to Army personnel and members of other armed services. The USACAC is also responsible for development of the Army’s doctrinal manuals, training of the Army’s commissioned and noncommissioned officers, oversight of major collective training exercises, integration of battle command systems and concepts, and supervision of the Army’s center for the collection and dissemination of lessons learned. All of the educational and training programs that USACAC manages fall under the following broad categories: leader development and professional military and civilian education; training; battle command; doctrine; and lessons learned. The schools and training centers are spread across the country and are responsible for executing a portion of the USACAC mission. In general, each of these organizations is responsible for the training of specific branch skills (such as infantry) and serving as the Army’s functional expert in that area. Focusing on the areas of infantry and cavalry, the Command and General Staff College serves as an umbrella college for five constituent schools. The Command and General Staff School (CGSS) focuses on educating and training intermediate level Army officers as field grade commanders and staff officers. The school has five programs: the Center for Army Tactics; the Department of Joint and Multinational Operations; the Department of Logistics and Resource Operations; the Department of Military History; and the Leadership Instruction Division through the Center for Army Leadership. Additionally, the CGSS supervises the Command to the Nation program, which conducts community outreach to promote understanding and appreciation of the Armed Forces. The Command and General Staff College is also head of the Department of Distance Education (DDE), which develops, distributes and administers CGSC’s distance learning programs to active and reserve officers. According to their Web site, these programs are intended to teach leaders “to execute full-spectrum joint, interagency, and multinational operations through non-traditional means” (“non-traditional means” are methods of warfare other than combat between two or more national armed forces). While founded for the Army, DDE also provides this training to active and reserve officers in the U.S. military’s other branches through its sister services. Another CGSC school is the School for Advanced Military Studies, a graduate program that educates officers in military art and sciences. The program primarily focuses on military history, military theory and execution-based practical exercises in order to develop cognitive-solving skills. The school also has a two-year Advanced Operational Art Studies Fellowship to prepare senior officers for colonel-level command and for operational planning assignments to combatant and service component commands. CGSC’s School for Command Preparation is aimed at preparing command selects, command sergeant major selects and their spouses for effective command team performance when the Army is at war. Additionally, the school provides simulation enhanced tactical training for students and faculty members of the CGSC. The Army Management Staff College (AMSC) became a subordinated school in 2005. Its primary goal is to prepare Army civilian and military leaders to assume leadership and management responsibilities. The college acts as the lead agent for the Civilian Education System curriculum. Other U.S. military branches are also affiliated with the Army’s CGSC, and they have their own organizations to support the education and training received at the different schools. The Air Force Element works to educate future senior leaders in the CGSC on principles and applications of air and space power as well as strategic, operational and tactical use of military force. The Navy Element began with the first Navy liaison officer in 1931. The Navy Element provides a connection between the USACAC, the Command and General Staff College and the activities and personnel of the U.S. Navy. The Combined Arms Research Library is a military science research center for CGSC, as well as the post library for Fort Leavenworth. Not only does the library provide resources for the officers, the community library is open to their families and includes a children’s section and story time. Their links section provides links for each U.S. military branch, military history and information on current issues such as Iraq, Iran, and Somalia. CGSC also has a Quality Assurance Office that does evaluations on the procedures within the college. The office looks at paper and web surveys, telephone surveys, focus groups, structured interviews conducted in person, and observations. In addition to the various schools located with the Command and General Staff College, the USACAC oversees the operation of numerous other schools and training centers. The Defense Language Institute Foreign Language Center (DLIFLC) is regarded as one of the finest schools for foreign language instruction in the world. Resident instruction is provided at the Presidio of Monterey and is administered through 31 language departments and the Operation Enduring Freedom Task Force, which expands or contracts in response to the needs of the sponsoring agencies. The present facilities at the Presidio of Monterey can accommodate approximately 3,500 students. Instruction is also routinely provided under DLIFLC-supervised contractual arrangements in Washington D.C., in over 84 languages and dialects. The DLIFLC also provides extensive nonresident instructional support in a variety of languages and dialects. Fort Irwin & the National Training Center specializes in desert warfare training and utilizes a vast recreational area to conduct training exercises. The mission of the National Training Center is to provide tough, realistic, joint and combined arms training in multi-national venues to develop competent leaders and soldiers who can handle missions in support of the government’s Global War on Terrorism campaign and future joint battlefields situations. Military Intelligence Center & School at Fort Huachuca, Arizona, trains officers for the Military Intelligence Corps. Net Fires Center of Excellence (pdf) at Fort Sill, Oklahoma, is the planned consolidation of Fort Sill’s Field Artillery Center & School (FAC) with the U.S. Army Air Defense Artillery Center and School (ADA), which closed its doors in Fort Bliss, Texas, in 2009. The creation of Net Fires is the result of the 2005 Base Realignment and Closure Act. The ADA, one of the oldest service schools in the Army, has trained army personnel in air and missile defense. Field Artillery Center & School trains field artillery soldiers and Marines in tactics, techniques and procedures for using artillery in combat. Army Maneuver Support Center & School at Fort Leonard Wood, Missouri, consists of three schools: the Army Military Police School; U.S. Engineers School; and Army Chemical School. The mission of the U.S. Army Military Police School is to train MPs. The United States Engineer School develops, trains and supports the engineer force to provide maneuver engineering, force support engineering and geospatial engineering to Army, Joint, Interagency and Combined Operations. The mission of the U.S. Army Chemical School is to train Army personnel in ways to operate when nuclear, biological or chemical weapons are in use in the battlefield. Joint Readiness Training Center at Fort Polk, Louisiana, specializes in training light infantry in combat tactics, strategy and coordination with other types of units. Special operations soldiers, including paratroopers, air assault soldiers, Special Forces and Rangers, are often trained at the center with other light infantry soldiers and heavy armored units equipped with tanks and armored personnel carriers. During JRTC training, heavy and light units team up for true-to-life training exercises. Armor Center & School at Fort Knox, Kentucky, is the Army primary training center for teaching officer’s strategy and tactics involving armored units and tanks. Army Aviation Center at Fort Rucker, Alabama, trains Army aviators to fly helicopters. Army Maneuver Center of Excellence at Fort Benning, Georgia, prepares officers and enlisted soldiers to perform infantry duties required in both peace and war with the emphasis on the art of command and leadership. The development of tactics, techniques and procedures to implement approved doctrine for infantry units at brigade level and below is the mission of the Infantry School. It also participates in the development, review and testing of doctrine and material for infantry units. Signal Center & School at Fort Gordon, Georgia, teaches Army personnel to handle the many communications systems employed by the Army. Army Management Staff College at Fort Belvoir, Virginia, provides instruction in organizational management theory and methods for selected Army uniformed and civilian personnel as well as for personnel from other services. Combat Maneuver Training Center in Hohenfels, Germany, is the second largest training area available to U.S. forces in Europe. Occupying 39,858 acres, the center facilitates realistic force-on-force maneuver training for all U.S. combat battalions stationed in Europe and to support NATO training involving forces from Germany, France, Canada, and the Netherlands. While the U.S. Army Combined Arms Center (USACAC) relies on experienced Army personnel to carry out educational programs at its many schools, it also employs private contractors to supplement the training and teaching programs. One example is Cubic Defense Applications, a subsidiary of San Diego-based Cubic Corp., which provides war-fighting education and other support services to USACAC. Cubic won four contracts worth a total of more than $10.8 million in October 2011. In 2003 it received a five-year contract that was said to have paid the company around $75 million. A previous five-year contract brought the company $49.6 million from 1999 to 2003. Cubic employs former high ranking Army officers, including Stan Cherrie, a retired Army brigadier general who serves as vice president and general manager of Cubic's Leavenworth-based Training & Education Division. Other ex-Army officers on the Cubic payroll have taught courses at the USACAC. USACAC currently teaches the Intermediate Level Education (ILE) course that all Army field grade officers are required to take during their career. The ILE course was developed with Cubic's help, and study topics include military history, leadership, combined arms tactics and techniques, peace, counter-terrorism, peacekeeping, nation assistance, counter-drug, and joint multinational operations. Under its previous contract, Cubic was responsible for developing the Commander's Force Protection Handbook for anti-terrorism operations. The Force Protection Handbook deals with vulnerabilities, prevention, reaction, consequence management and military support to civil authorities. In addition, Cubic developed and executed major exercises for the Army, National Guard and civilian agencies with scenarios involving terrorist events and the threat of weapons of mass destruction (WMD). Cubic developed a complete training support package and train-the-trainer courseware for WMD and terrorism events. A U.S. Army general was accused in 2011 of using “psychological operations” to manipulate lawmakers and other officials visiting Afghanistan, hoping to persuade them that more troops and funding were the way to go. Lt. Gen. William Caldwell, who was in charge of training Afghan soldiers, allegedly ordered an American unit that specialized in “information operations” (psychological warfare, or psy-ops) at Camp Eggers in Kabul to target visiting senators and other VIPs. Those targeted included Senators John McCain (R-Arizona), Joseph Lieberman (I-Connecticut), Jack Reed (D-Rhode Island), Al Franken (D-Minnesota) and Carl Levin (D-Michigan), plus Representative Steve Israel (D-New York), Admiral Mike Mullen of the Joint Chiefs of Staff and foreign dignitaries. Members of the special unit objected to Caldwell’s orders, citing federal laws prohibiting the use of propaganda against American citizens. Those who complained were retaliated against. Both the Army and the Department of Defense’s inspector general launched probes of the allegations, and both decided Caldwell had done nothing wrong — that there was a big difference between public affairs information and psy-ops. In 2004 the USACAC thrust itself in the middle of the national debate over America’s decision to invade Iraq when it issued a study on the conflict to that point. The report said that American forces were plagued by a “morass” of supply shortages, radios that could not reach far-flung troops, disappointing psychological operations and virtually no reliable intelligence on how Saddam Hussein would defend Baghdad. The USACAC study also pointed out that logistics problems had been far worse than senior Army officials had previously claimed. Other details mentioned in the report included tank engines sitting on warehouse shelves in Kuwait with no truck drivers to take them north; broken-down trucks being scavenged for usable parts; cannibalization by U.S. artillery units of captured Iraqi guns to keep their American howitzers operating; and Army medics foraging medical supplies from combat hospitals. The USACAC also found that the Pentagon's decision to send mostly combat units in the weeks before the invasion had the “unintended consequence” of holding back support troops until much later, contributing greatly to logistics problems. The study was ordered by the former Army chief of staff, Gen. Eric K. Shinseki, who clashed with Defense Secretary Donald H. Rumsfeld over troop strength for postwar Iraq. It drew on interviews with 2,300 people, 68,000 photographs and nearly 120,000 documents. As part of its mission to teach the lessons learned from wars, the USACAC has encouraged debate among officers over America’s conduct during the war in Iraq. This debate even led to a story in The New York Times showing officers arguing over who bore more responsibility for mistakes in Iraq—the former defense secretary, Donald Rumsfeld, or the generals who acquiesced to him. Discussions between The New York Times reporter and dozens of young majors in five Leavenworth classrooms revealed unusual frankness for an Army that has traditionally presented a facade of solidarity to the outside world and a divide in opinion. 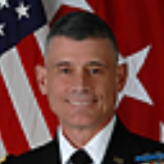 The USACAC also has required young officers to read a controversial article, “A Failure in Generalship,” written for Armed Forces Journal by Lt. Col. Paul Yingling, an Iraq veteran and deputy commander of the Third Armored Cavalry Regiment who holds a master’s degree in political science from the University of Chicago. “If the general remains silent while the statesman commits a nation to war with insufficient means, he shares culpability for the results,” Colonel Yingling wrote. An investigation by USA Today found that the Army’s Fort Irwin's National Training Center was lacking in its preparation of soldiers to handle the problem of improvised explosive devices (IEDs) in Iraq. The story said that in the war's early years, troops were deployed with little or no knowledge of IEDs, even as the devices came to account for 60% of combat deaths. Fort Irwin also lacked sufficient numbers of armored Humvees to train soldiers how to properly drive the top-heavy vehicles during abrupt maneuvers often needed to survive an IED attack. Following a media report of the government using negative stereotyping as part of its counterterrorism efforts, the Obama administration in 2011 ordered a widespread review of training materials used by agencies and the military. A story published by Wired’s Danger Room revealed that officials in the Department of Justice and the Pentagon instructed law enforcement and soldiers that “mainstream” Muslims supported violence. The training also compared the Islamic religion to the Death Star. Orders from the White House instructed the Joint Chiefs of Staff to collect counterterrorism training materials used at service academies and major academic centers, including the U.S. Army Combined Arms Center, and scrutinize it for “cultural awareness” or lack thereof. In February 2014, Lieutenant General Robert Brooks Brown assumed command of the U.S. Army Combined Arms Center at Fort Leavenworth, Kansas. The center has been called “the intellectual center of the Army” and is where officers go for leadership development and the elite Command and Staff College. Brown is from Grosse Pointe Woods, Michigan, and graduated from Grosse Pointe North High School in 1977, where he was a multi-sport athlete. He continued his athletic career when he attended the U.S. Military Academy at West Point, playing on the basketball team and becoming a graduate assistant coach after his 1981 graduation. After that, Brown began a more traditional route of the Army chain of command, first as a platoon leader, then increasingly more responsible assignments. In the mid-1980s, Brown went to the University of Virginia, where he earned a master’s degree in education. Fittingly, his next assignment was back at West Point, this time as an assistant professor in the Department of Military Instruction. In 1992, Brown began a tour in Hawaii, first as military plans officer and deputy chief of staff for operations, United States Army Pacific and later as S-3, the officer in charge of training and operations, and later executive officer of 1st Battalion, 21st Infantry, 25th Infantry Division. During this period, Brown also served in Haiti as part of Operation Uphold Democracy, the effort to remove the government installed in the wake of the coup to overthrow President Jean-Bertrand Aristide. Brown’s next stop was Washington where he worked in several staff jobs, including as the aide-de-camp and assistant executive officer to the vice chief of staff of the Army and as a staff officer in the Office of the Deputy Chief of Staff for Operations and Plans. In 1998, Brown was sent to Fort Hood, Texas, as a battalion commander and during this time was task force commander of Operation Joint Forge in Bosnia-Herzegovina. Brown then returned to Washington to work on the Joint Staff and subsequently to study at the National War College, where he earned a master’s degree in national security and strategic studies in 2002. He then took command of 1st Brigade, 25th Infantry Division and led it into Iraq in 2004. He returned to Iraq in 2008 as deputy commanding general for support of the 25th Infantry Division. Brown went to Germany in 2010 as chief of staff of the United States Army in Europe and deputy commander, U.S. Army NATO. After that, he was named commander of the Maneuver Center of Excellence and Fort Benning in Georgia. His most recent assignment was as commanding general of I Corps and aenior Army commander for Joint Base Lewis-McChord near Tacoma, Washington. Brown is married to his high-school sweetheart, Patti and they have three daughters and a granddaughter. One of their daughters, Kelly Brown Calway, is following in her father’s footsteps. She’s a captain in the Army and is a runner who placed 25th in the U.S. Olympic Team trials for the marathon in 2012.